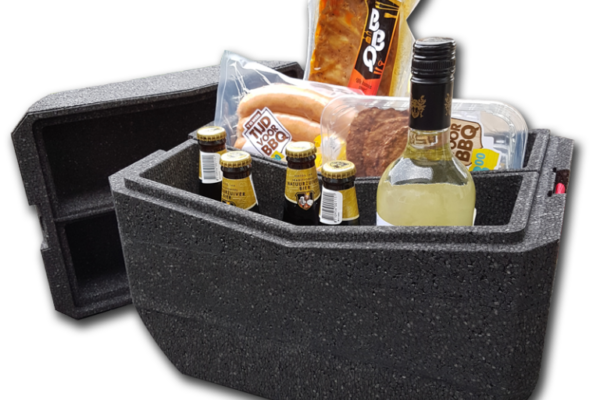 The Fun Coolers by Coolers4You are custom-developed and produced by HSV the particle foam engineers. Coolers4you chose HSV to handle the engineering and production of these lightweight, customised coolers. From the hot/cold box, wine cooler or beer cooler, all the way to the multi-box, Coolers4You is opting for sustainability. The EPP used to produce these fun coolers is expanded in a mould using sustainable steam energy. Using a large quantity of air in a small percentage of EPP, we are able to achieve maximum effect with minimum effort. In addition, HSV supports collection and reuse of particle foams, and our organisation actively contributes to the circular economy. 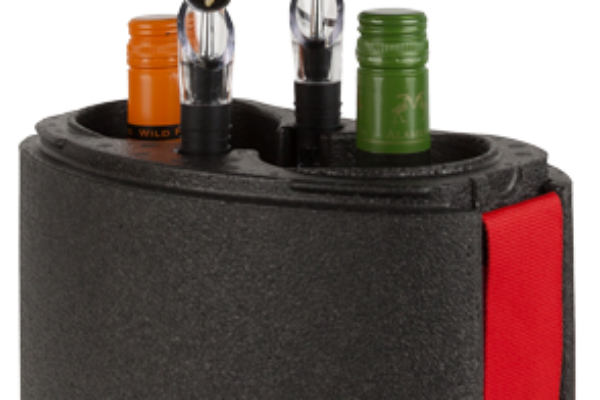 The hot/cold box comes equipped with smart compartments, keeping beverages and/or foods at the right temperature. The separate compartments make it possible to keep hot things hot and cold things cold in the same box – convenient for a picnic with friends. The particle foam engineers at HSV are working in close collaboration with Wageningen University & Research (WUR) to develop customised coolers. All influences, responses and activity are measured in a state-of-the-art laboratory, fully equipped with the latest technology to take into account factors like weather conditions, cooling agents, and target insulation values. Discover the significant advantages that our facilities and technologies offer in designing your cooler. Looking to develop a cooler that achieves optimal performance? And are you hoping to save costs in your supply chain and other areas? Let us tell you more and discover the hidden invention. by HSV the particle foam engineers. Call +31 318 648 999 or email sales@hsv.nl; our engineers would be delighted to advise you.